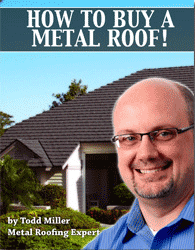 Does Your Roofing Contractor Do These 9 Things? Home | Roofing Information | Does Your Roofing Contractor Do These 9 Things? There are few things in life we can do that can either go fabulously well or miserably wrong. Most things land someplace in the middle. One of those things that can be great or horrible is hiring a contractor. Use this simple list to help you choose a roofing contractor that has your best interests in mind. Have a future focus? A good roofing contractor should ask you what you want to accomplish with your next roof. A contractor who doesn’t ask will never know the things you might care about such as summer attic heat, winter ice dams, or even aesthetics. Insist on an attic inspection? Your attic can tell a great deal about the health of your home and the condition of your roof including what needs to be done when you re-roof. If your contractor does not insist on visually inspecting your attic and also checking for air flow, moisture levels, and “hot spots,” go on to the next contractor. Discuss decking issues? The attic inspection can reveal some issues with your roof deck. Fastener pull-out resistance tests can also be done from the outside or core samples can be taken. Any concerns at all need to be discussed and addressed. It would not be uncommon for your contract to include possible extra charges if additional decking has to be replaced, and that’s okay. Review your attic ventilation? Attic ventilation is critical to most homes and must be discussed when you re-roof your home. Is your ventilation functioning properly? Do you need more ventilation? If the contractor tells you “Oh, this type of roof doesn’t need to vent the way your old one did,” show them to the door. Pull the right permits and follow building codes requirements? This is not mandated in some areas but, in most areas of the country, it is required. If your contractor is putting you and your home at risk by “flying under the radar” in these areas, it’s hard telling how many other areas they are putting you at risk. Provide written proof? A reputable and honest contractor will provide you with current certificates for licenses, insurances, and workers comp. Again, it is you they are putting at risk if they do not have these things. If they have these things, they will gladly share them. Describe their work crew? Professional contractors will tell you exactly who will be on your roof – not just their names but their backgrounds, experiences, and training. A common complaint is “we liked the salesman but his crew had no idea what they were doing.” Make sure that doesn’t happen to you! Provide a written contract? Contracts should not be hand-written or just a number scribbled on a business card. Entering into a relationship with a contractor is legally binding for both of you and must be properly documented. Provide a written work workmanship warranty? In addition to a copy of the manufacturer’s product warranty, the roofing contractor must provide you a written copy of their workmanship warranty. If they don’t, then you do not really have a warranty from them. Absolutely positively do not accept “just call us” as their answer to the workmanship warranty question! I hope this list helps. As always, if you run into any questions or concerns, just let me know.